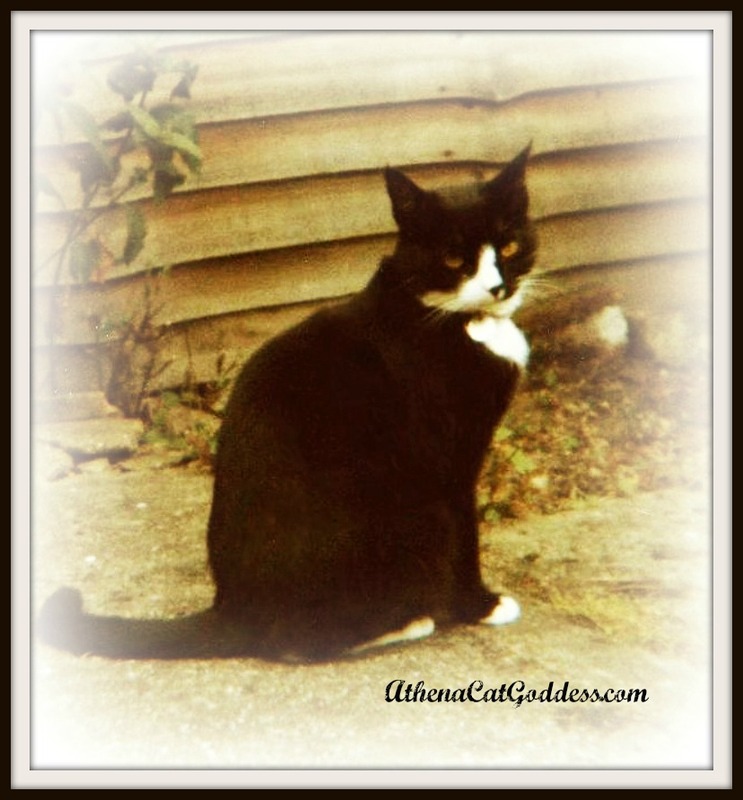 Today is Black Cat Appreciation Day and so we are remembering sweet Suzy, my mum's other soulmate cat, the one she had years before I came along and who sadly is no longer with us but living across the Rainbow Bridge. You can see another photo of her on my mum's other blog. Did you know that black cats are the hardest to rehome? For some strange or very stupid reason they take far longer than other cats to find the forever home they too deserve. It happened to me. Well, to my sister Lily, I mean, who I got rescued with. You see, we were abandoned in someone's garden and got rescued by an animal shelter together.I tell our story in my book A Forever Home For Athena, but for those who haven't read it yet (and why not? ), let me just say briefly that when my mum came to view me at the shelter (after she had seen my cute little kitten face on the shelter website) she also saw that there was a little black kitten with me in the pen. Now, I was the loudest and the most extrovert and as soon as I saw my mum come through the door I knew I had to go home with her so I pounced onto the pen door and made sure she noticed me. Little Lily was quieter than me, so maybe that's why she didn't get to be adopted too on that day. It had nothing to do with her being black. Anyway, back to Lily. I do get sad about her. And Mum does too. We only hope that she got adopted pretty quickly after me and is now living happily in her forever home with a perfect family. One day my mum would love to be able to adopt more cats. She even wants to open her own cat rehoming shelter. We love black kitties here! Funny enough, my human was dreaming of black cats last night. We always think of black kitties as good luck - don't know why some peeps think they're bad. How could any kitty be bad luck? Suzy was a beautiful kitty. We looked up the internet and found an interesting article in Wikipedia about black cats. Lynettea says that in countries like Australia where there is a lot of intense sunshine it is good to have a black cat, as their fur heats up quickly in the sun. That means they are less likely to lie in the sunshine for any length of time, which means they are less likely to get skin cancer. That bit of information wasn't in the article. They are beautiful. We love them too! I know. Silly humans and their superstitions! Us kitties don't think like that. Beautiful Athena!! We just know your sweet sister Lily found a good loving home just like you! We hope that little black kitty found its forever home too! I's nominated ya for da Most Influenshal Blogger Award - ya can pick up your award here: http://lonestarcats.blogspot.com/2014/08/most-influenshal-blogger-award.html.